Welcome to a very happy day for me! I am bringing to you today the celebration of my YouTube Channel and it surpassing 2000 subscribers! I've asked a few of my favorite crafty people whom I also consider friends in helping me celebrate the milestone! 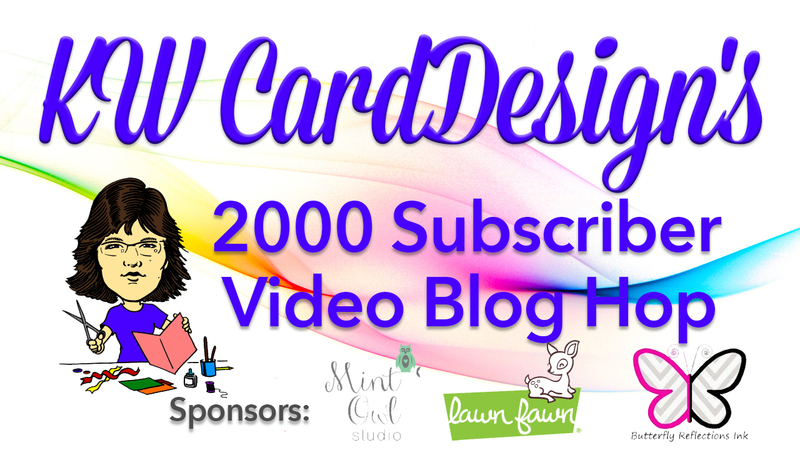 You will get a chance to see some fun video tutorials of these fabulous card makers, and since this IS a celebration, you gotta celebrate with prizes right!!?? So, I have some awesome sponsors that have been so generous in giving you 3 chances to win! A huge thanks goes out to Lawn Fawn, Mint Owl Studio, and Butterfly Reflections, Ink for sponsoring this event for me! I also wanted to give a shout out to my dear friend Jenn Shurkus for coming up with my graphic for this event! I love her, and her talent as a crafter and graphic designer! In today's hop - the theme of everyone's creation is a "Thank you"! Thank you to YOU - my supporters of my channel and my blog! So here is my card, and the video tutorial - as always, I will have the supply list below. This was the first time I created a galaxy background, and I absolutely LOVE it! This could get quite addicting for sure!! 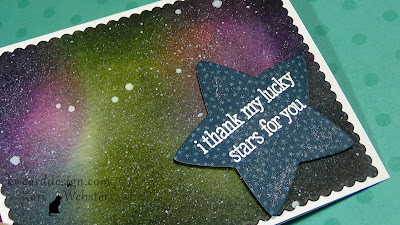 I created it using my Distress Inks - super easy and fun!! 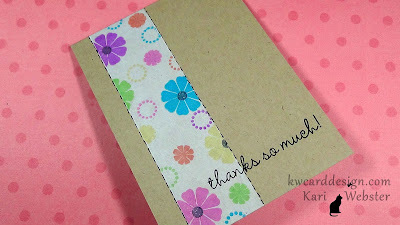 I also used a fun Lawn Fawn set that I felt tied in with my background perfectly! Below my video tutorial link! Please leave a comment on THIS video to be eligible for your chance to win one of three prizes!! Details of that is below as well as the video hop order! Here is the entire hop order - this is a link directly to their channel on YouTube. Kari - KWCardDesign - You are HERE! BRI - $20 gift certificate and the winner's name to be put into a drawing for another prize once they place their order. There will be 3 separate winners - one for each prize! In order to be eligible to win one of these prizes - all you need to do is leave a comment on the video below - it must be THIS video - and you also need to be a subscriber of my channel! It is only fair, since this is a celebration for you - my subscribers! Please make sure you comment before Monday, Feb. 29th as that is when the comments will close to be eligible to win! I will announce the winners shortly after that! Thank you to all of you that have subscribed and have supported my channel, and here on my blog! It means the world to me! I love to share my card making ideas, tips and tricks, and organization ideas with you. This celebration wouldn't be possible without YOU!! Happy Sunday! I shared a video over at my YouTube Channel the craft items that I am storing in my Alex 6 drawer unit that I purchased from IKEA. 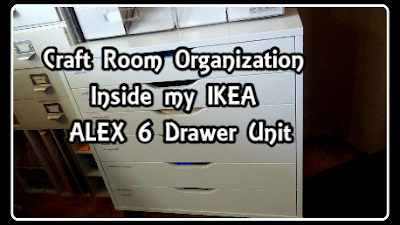 Like a lot of us, I like to see how everyone organizes and stores the crafty goodies - and this unit is my newest addition in my craft room! I hope this may give you some ideas of some organization in your craft space!! I will be back on Friday with a very special blog post!! So, stay tuned!! Happy Valentine's Day! I hope all of you that celebrate has had a wonderful day with the one you love...even if you are single...its good to love yourself!! 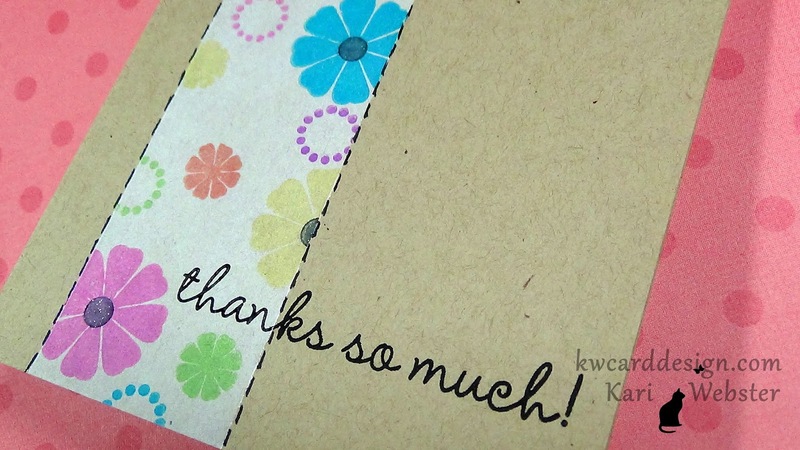 I wanted to share with you on how to stamp with colorful inks onto kraft card stock! 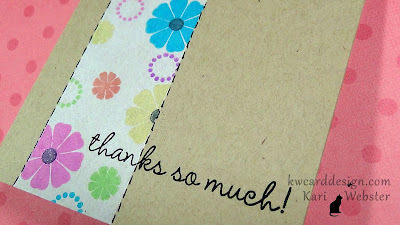 I love the look of kraft - but it is hard to achieve colorful stamping just with the inks alone. So, I wanted to revisit an oldie but a goodie technique. 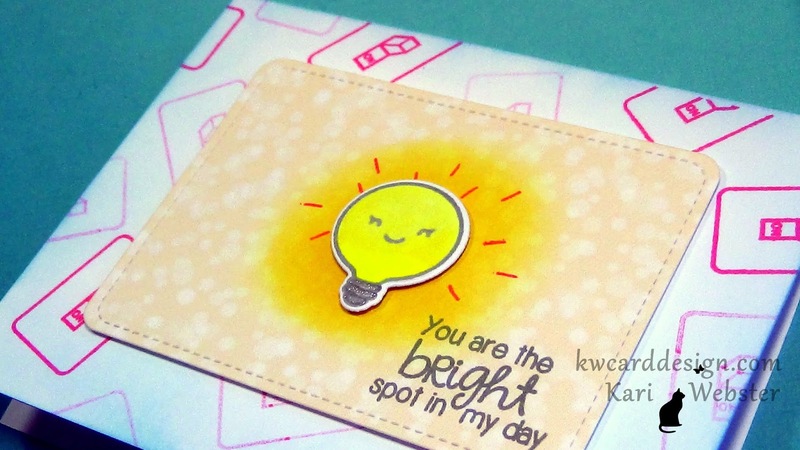 With this tutorial, I also created a one layer card, which can be difficult at times too. We all love to add dimension and pretty embellishments to our cards, but it is good to have one layer cards as they are easy to mail! 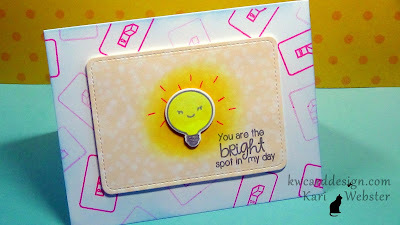 Below is my tutorial on this card!! I love how this masked off technique also gives the illusion of dimension without having dimension at all!! 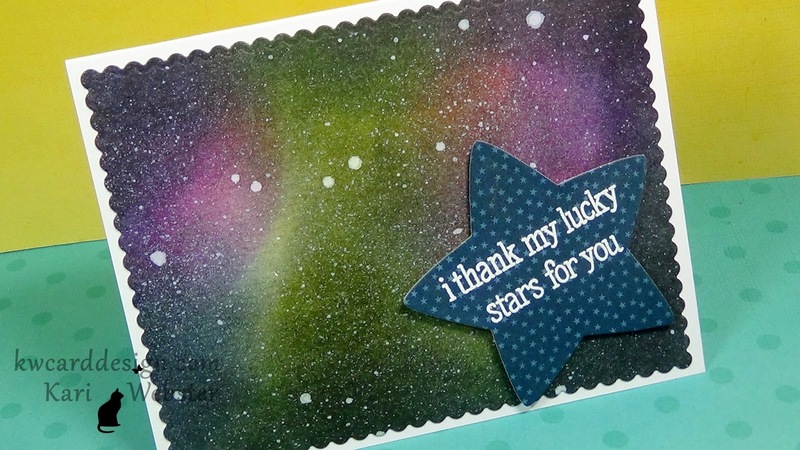 Today I am sharing this card I made using the Lawn Fawn set You Turn Me On. This is such an adorable set. It was released for their Valentine's Day release and I hadn't played with it yet since purchasing it, so I wanted to play with it today. The design is relatively simple. I wanted to combine some soft colors with a little bright - which the Plastic Flamingo Ink helps achieve that!! As always I have a video below showing you my process! And all of the supplies are listed and linked below for you.